It is a full titanium framelock that has been 3D milled. Standoff construction makes it easier to clean out dust and debris. The Parallax has an elegant hybrid style blade profile that has been hollow-ground down to a razor sharp edge. D2 steel combines all-around great characteristics of durability, edge retention and ease of sharpening. The 4 inch blade rides on our proprietary Brous Bearing System for a super smooth deployment. The 6AL4v Titanium scales have been pocketed inside for weight reduction and balance. We are using a ceramic detent ball for an unbeatable action and a steel lock insert for maximum durability. The Parallax has a 3D milled clip in a right handed tip-up configuration. The Parallax fills the hand well and will perform great with all tasks. Although still in his early 20’s, Brous began his efforts in knifemaking with the benefit of nearly 10 years of experience in CNC machining. His father owns a shop that specializes in the custom machining of high-precision components, mainly for the medical industry. Jason spent a lot of time in his father’s shop while growing up, and by his mid teens was actively helping out with production. His skills and knowledge steadily increased and by the time he was 20 he was a seasoned and very competent machinist. Jason’s interest in knives actually began with art – specifically a style called “Bio-mechanical” – as practiced by one of his favorite artists, a Brazilian painter and tattooist named Lango. Biomechanical art (also called Biomech) is a surrealistic style of art that combines elements of machines and robotics with organic animal features. Intrigued by this style of art and its similarity to many fantasy knives, Jason figured that knifemaking would be a natural extension of his metalworking skills and an appropriate medium for his artistic ideas. 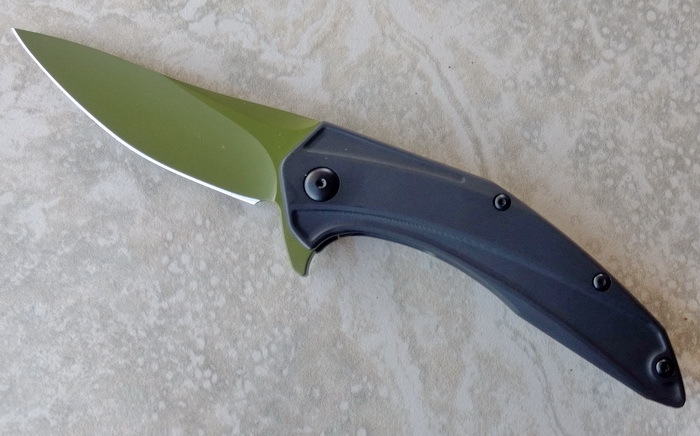 Although he had no specific training in knifemaking, in 2010 he designed and made his first knife – a fantasy design with a Biomech flavor – and eagerly posted photos of it on several Internet knife forums. Unfortunately for him, his design drew harsh criticism from some all-knowing keyboard commandos. However, fortunately for us, he turned that criticism into fierce determination which ultimately led to his success.